Be creative with team building activities to inspire and motive your team members. 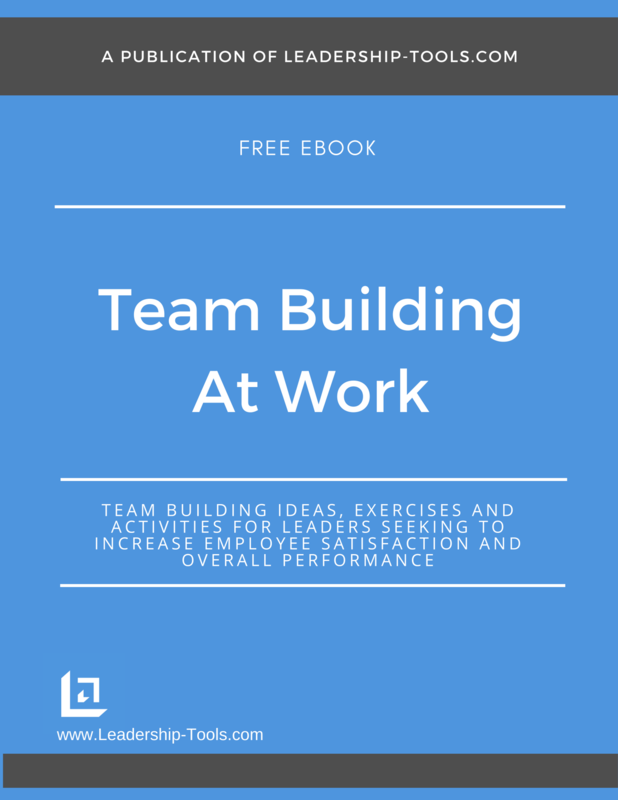 Our Team Building At Work guide is available for free download, providing fun and memorable ideas for improving your team. Leaders who are creative thinkers understand that much can be gained by showing team members how to think outside the box. 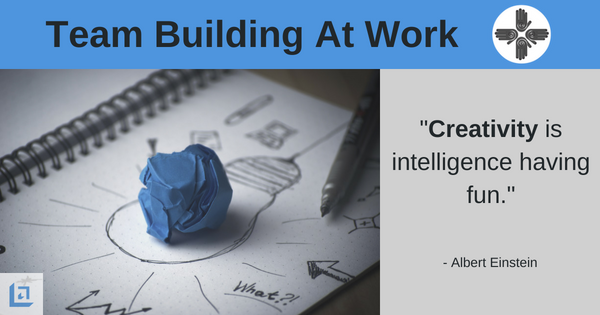 Encouraging teams to work creatively is a critical ingredient to staying ahead of the competition. You must always be seeking ways to improve your product, the process in which you deliver it, and how your people present it in the marketplace. Given the pace and speed of this new global economy, it’s now more important than ever to hire and retain creative thinkers. These are the people that will figure out the newest, best and brightest way of making the sale or producing additional widgets for the organization. Creativity in the workplace also helps to keep the work environment fresh and inviting. When people are creating and pursuing new ideas they are far more engaged than if they were simply filling an order – the same order, the same process, the same everything, each and every day. "An essential aspect of inspiring creativity in the workplace is making sure employees are not afraid to fail." Motivates people to seek out and identify new solutions. Improves team morale as each team member feels empowered to introduce change. Builds confidence as team members see themselves as innovators. Inspires team members to grow, learn and expand their skill-set. Breaks down traditional ways of team management. Rejuvenates the workplace creative thinkers are recognized and rewarded by management. 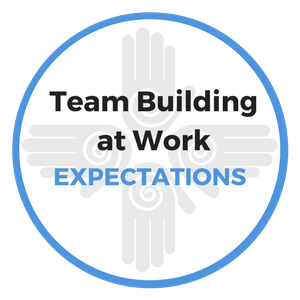 Team building activities are great tools for leaders who seek to continually improve the level of trust and loyalty among their team members. In addition, injecting some fun activities into the workplace for leaders to effectively teach and coach their team. Effective team building activities can support engagement levels and bring new ideas to the table, which might provide the leading edge you've been looking for. Use our free team building activities to support and inspire your team. Doing so will increase their levels of success, and as a result profitability for your business will improve. Purpose: To lead your team to think more creatively. This activity depends on the leader’s willingness to have fun and put his or her self out there, perhaps being a little silly, in order to take away the fear and anxiety team members might have over making a “silly” suggestion, which could ultimately end up being worth millions. Explanation: Create a short audio or video “INVITATION” that announces the agenda of your next strategic planning meeting. Use iMovie or Movie Maker software to create the video. The software is probably already on your PC or laptop and is easy to use. Or, if you have the resources hire someone to assist you with the video. As the leader, it’s your job to rally your team and get everyone on board with thinking up new ways to produce more revenue and be more cost efficient. Utilizing a combination of music clips, photographs, video and audio clips, illustrate your invitation to your employees. Let them see your humor and the fact that you want this process to be effective, but also fun and entertaining. Hopefully the above example inspired some of your own ideas on how you can take these team building activities to the next level. Perhaps you will film some footage of yourself doing some crazy stunts and use those clips to make your key points. With today’s technology being so widely available, the options are only limited by your own imagination. If you have the resources, you might consider hiring a student film class to create a special video invitation on your behalf. You can also outsource the project by hiring a professional on Upwork.com. Remember, the more engaged the leader is in the creative process, the better the team will ultimately receive the message and perform accordingly. So, go out there, be a little silly if you need to be, and inspire your team to have fun and win. "I’ve always found that the speed of the boss dictates the speed of the team." Purpose: To assist employees in capturing their creative ideas and not losing the opportunity to make a real difference in the long-term success of the team. Explanation: It’s a well-known fact that every successful songwriter carries a pen and paper everywhere they go. The reason is that they must capture an idea or a phrase for a song immediately when they think about it or they might forget the idea within a matter of hours or even minutes. Capturing new and innovative ideas is a skill that every good leader should promote, and team building activities such as this one can help. Quality ideas are the lifeblood of every successful organization. However, many times your employees may identify terrific ideas but never share them simply because they don’t remember the idea - or because they aren't aware you'd even care to hear it. As the leader, you can promote creative thinking and increase awareness of this issue by making this a topic of your next staff meeting. It’s a fact that whatever we focus on, we gravitate towards. It's the Law of Attraction. If you focus on debt you'll obtain more debt, but if you focus on prosperity, you'll become more prosperous. The same is true as you challenge your team members to focus on coming up with new, original and innovative ideas. The more they are aware of the need to think creatively, and the more you ask them to contribute creative ideas to the team, the more they will positively respond with some wonderful, and potentially highly profitable ideas. "Engagement is the product of inspiration, motivation, and a dash of creativity." Songwriters are always seeking “the hook”, or catchphrase for a song that will stick in the music listener's mind. You want your people to be seeking “the hook” or that one simple tweak to the system that will help the company produce more, spend less or increase consumer demand. Let your team members know that you may not have all the answers, but that you are confident in their collective intelligence and creativity to find multiple solutions to key issues. Encourage team members to seek out “hooks” when speaking to business associates, customers, and even competitors. Provide a meaningful reward that will motivate your team to be competitive in their quest for a new idea, or "hook", that will help the team be more successful. Meet again in one or two weeks to discuss their findings. Team building activities such as this can produce some surprising opportunities for everyone! To download our free Team Building At Work eBook for creative and powerful team building activities, simply subscribe to our free newsletter. You will immediately receive a password that grants access to our entire leadership tools library.